Rung as a memoriam tribute to Rhian Bagshaw and Frank Matthews of St John the Baptist, Meopham, Kent, who both recently passed away, and who taught Matt to ring. This performance was rung in memoriam — Frank Matthews and Rhian Bagshaw. First submitted Saturday, 1 December 2018 at 12:30:58 by T C Chivers. 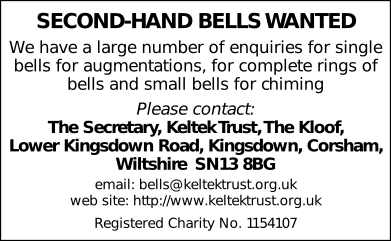 Sent for publication in The Ringing World on Saturday, 1 December 2018 at 12:33:14, and printed in issue 5621.